Acoustic ceiling tile in a cloud arrangement. Welcome to Sound Unique, we are a design company that specializes in solving sound problems through acoustical treatment and sound system design. We can help your church, auditorium, conference room or classroom achieve the clarity you need. 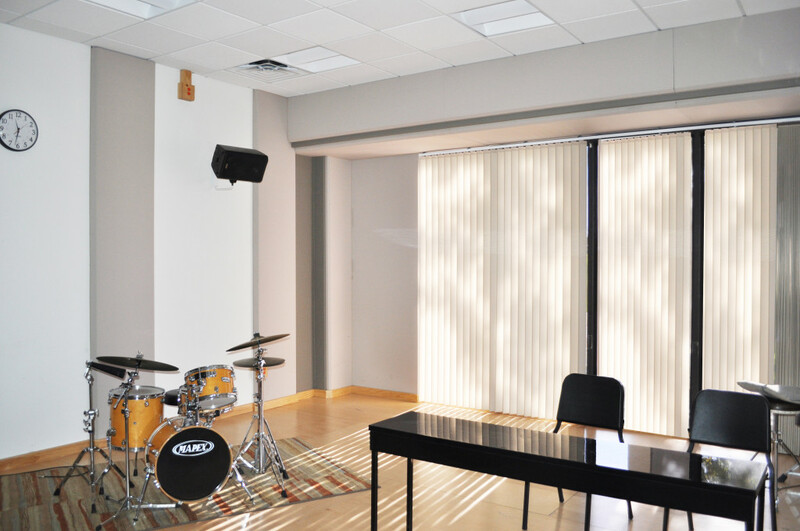 You can find many of our acoustic room treatments throughout San Diego, Chula Vista, Encinitas or Imperial Beach. Our experienced staff can help you design and implement the changes you need to correct the problems in your space. Sound problems affect the clarity necessary for the listener to experience what you have worked so hard to prepare for them. To achieve these goals we use many different types of materials suited to specifically solve these problems. Whether it’s acoustic panels, baffles, diffusors, acoustic banners or clouds systems, we can design the proper acoustic treatment for your needs. 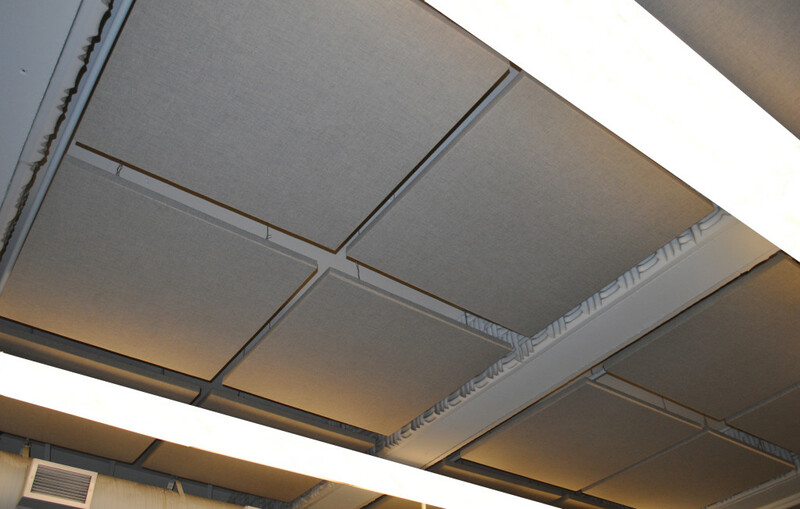 Many companies offer traditional acoustical treatment through the use of square panels. This can be the right approach for treating a room if the interior design style complements the panels. If they don’t match they can negatively affect the aesthetic beauty of your space. We offer a unique service that can design acoustic sound treatments that complement and integrate into your space. The design will become part of the room, not forced into the interior design style. Members of our design team have been active in the interior design trade here in Southern California and Nevada for decades. They will bring their interior design expertise to your design, a truly a revolutionary approach! 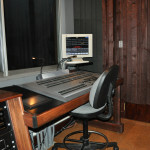 You will receive a detailed acoustic treatment guide that will show you exactly what your space will look like, through the use of computer graphics, long before the work begins. This allows us to prefect the design to your liking. We will work with you to create a flow of interior design and color that you can get excited about, not just live with. Other times just the opposite is required and you want the acoustic panels to disappear. We will work with you to achieve these goals. For your audience to have a great experience you need to correct the problems in your performance space. This requires looking at the big picture. 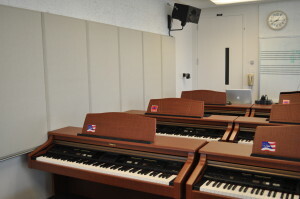 Quality sound is a result of proper acoustics and the right sound system installed properly. 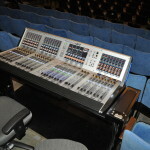 In addition, you need the right monitoring system for the performers, so they can hear clearly but not have their sound system overwhelm the room. All parts of the system need to work in unity. If only 10 percent of the sound system is incorrectly designed or installed, you may experience a far greater loss in sonic quality than 10 percent. 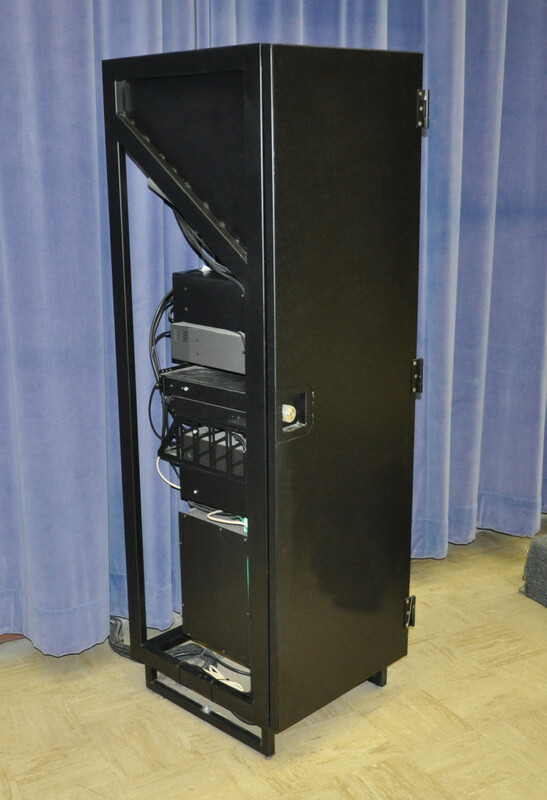 Many high quality sound systems are not installed properly and simply need to be adjusted. You need to have everything right to achieve the experience you desire for your space. 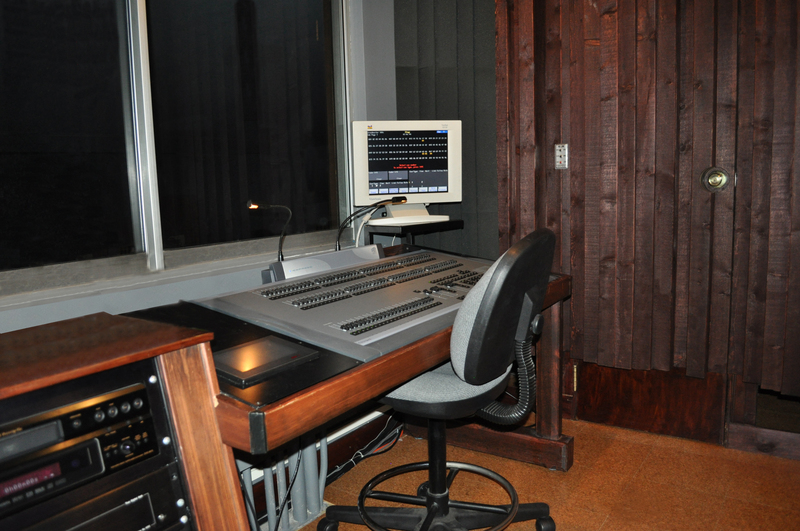 Our expertise is in acoustical treatment, soundproofing and sound reinforcement integration. We offer state-of-the-art designs in these areas but we realize there is more required of a performance spaces in this high tech world. That’s why we have partnered with PDI, a leading company in video and lighting with decades of experience. 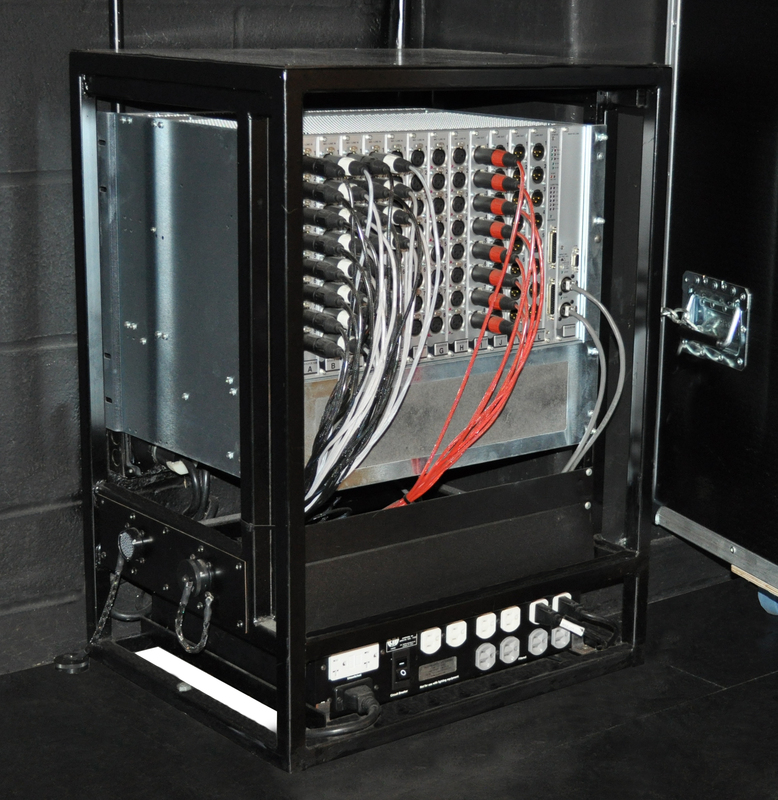 Together we offer some of the finest turnkey theatrical and church systems available today. When an entire system is integrated properly, each part of the system blends flawlessly with the other. 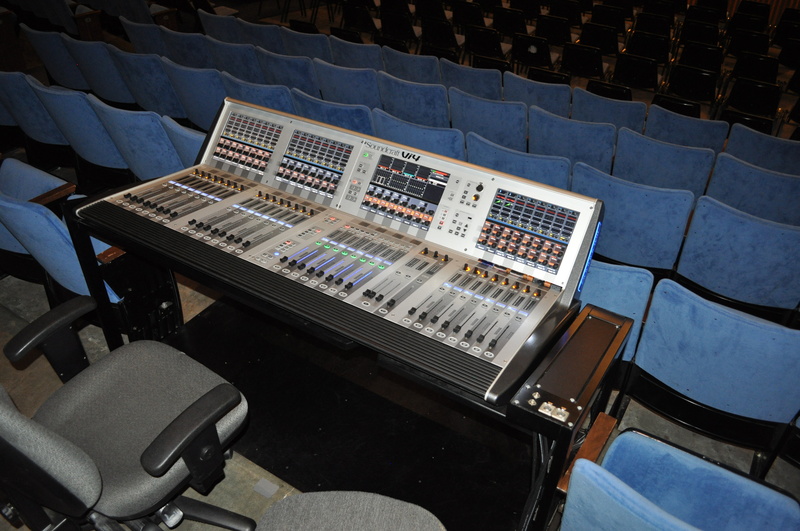 No hums, buzzes or other issues caused by the lights interacting with the sound system or video. If you need advice for your performance space or are in the process of building a new space please feel free to contact us.